By default shares are created with SendAs rights and read/write access (rwixd). This allows the user to email on behalf of the shared account and sent mail will be go to the shared account sent folder. An outgoing mail filter and persona is set to achieve this. 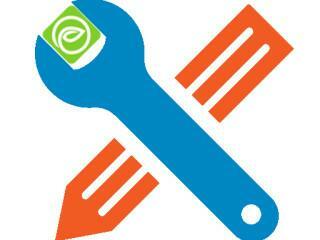 Designed for Zimbra version 8.7.11 and 8.8. No need to have CLI access to create/revoke root shares. The client Zimlet will automatically expand the shared mailbox, so the Inbox is displayed instead of No results found. The client Zimlet will not show duplicated options when selecting FROM address. Optionally an additional header is added to the email to identify the user sending email from a shared mailbox. For example it can help finding out what sales person was sending out mail from sales@myzimbra.com. The header can be set via the installer or running su - zimbra -c "zmprov mcf zimbraSmtpSendAddAuthenticatedUser TRUE" and u - zimbra -c "zmmtactl restart". 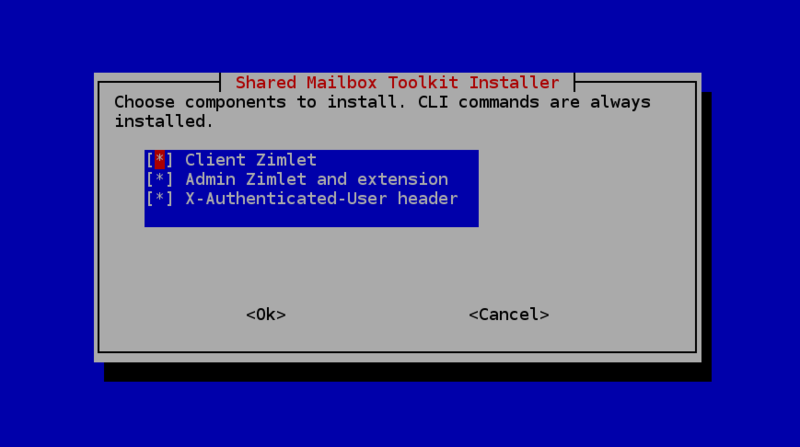 Installed in /usr/local/sbin an can be run as user zimbra: * subzim: Share an entire mailbox with another mailbox (root share). * unsubzim: Revoke share created by subzim command (revoke root share). 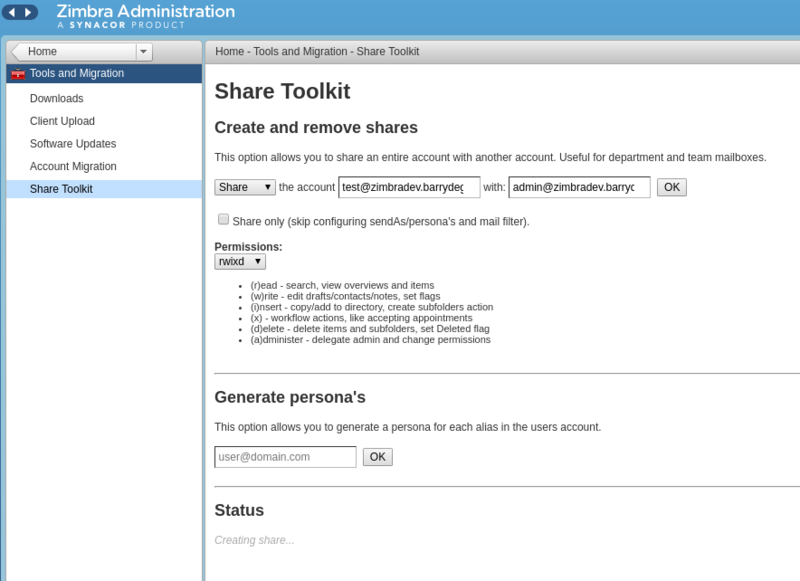 * personagen: Generate personas/identities for all aliasses of an account. * removeshares: Revoke all shares from an account. One can use this for managing people going into a different department, or in case the web UI fails to load due to sharing bugs. * submachinegun: Use this in case you are missing folders in your shared account. Read in-script comments for more details.